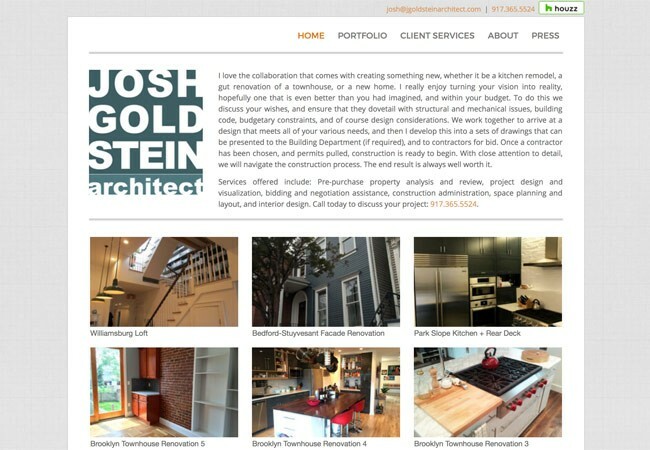 Josh Goldstein is a registered architect in New York State. He is a solo practitioner, and all of his jobs come through referrals and website traffic, fueled by Google My Business. His strong web presence has been a cornerstone of his business success. Services performed on this site include: customization and implementation of Filtered Theme by Graph Paper Press; conversion to mobile readiness; strong and sustained SEO campaign.